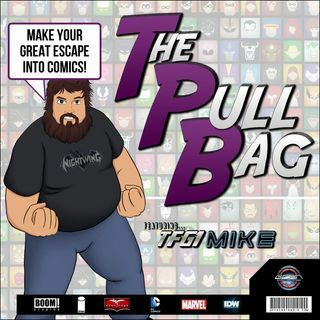 TPB Back Issue Classics Episode 92 is here! Cue Stan Bush because we have THE TOUCH!!! Mike and Ryan return to Talkin' Transformers... We are More Than Meets The Eye, we are Robots in Disguise! We continue #AutobotlyAugust 2017 by talking about the second chapter in Chris Metzen Flint Dille and Livio Ramondelli’s Transformers Trilogy. That’s right it’s time for MONSTROSITY! So get ready for our next Transformers comic ep for now!! You'll only find it here inside The Pull Bag! ... See More TRANSFORM AND ROLL OUT!! As always Make Your Great Escape Into Comics!! !